It is an hybrid of the Citrus Paradisii variety, but it differs in shape, given its characteristic pear-shape. 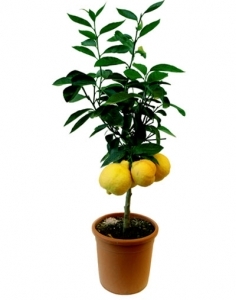 It produces more fruit than the classic grapefruit plant and its pulp is bright yellow. All the products of the particular variety section are available in different sizes.